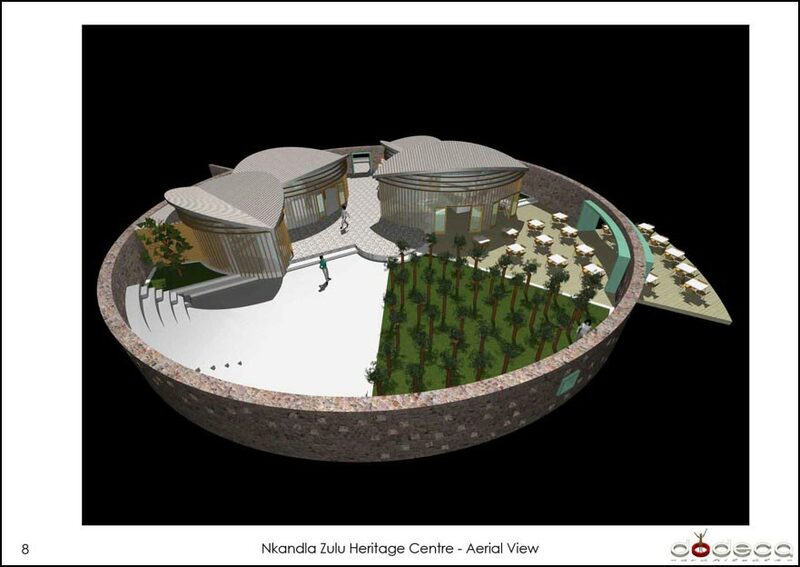 The concept for the centre and complex as a whole, focuses on the importance of the Nkandla forest. 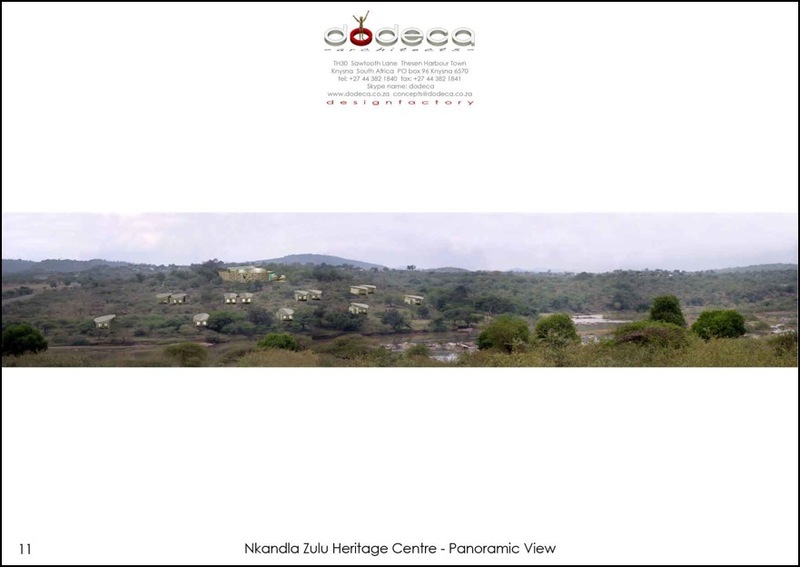 The view over the Tugela River across the valley is directly onto the Nkandla Forest. 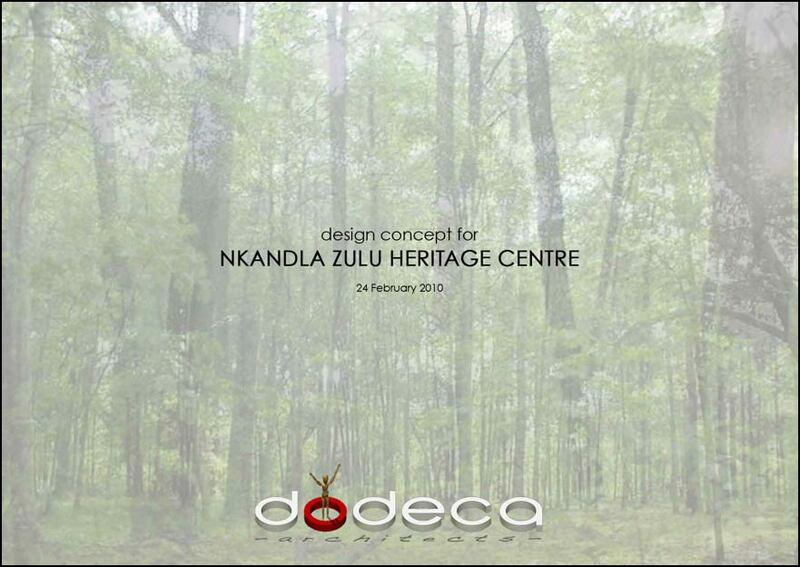 Its further relevance is the fact that the forest was used by King Shaka as a formidable refuge. 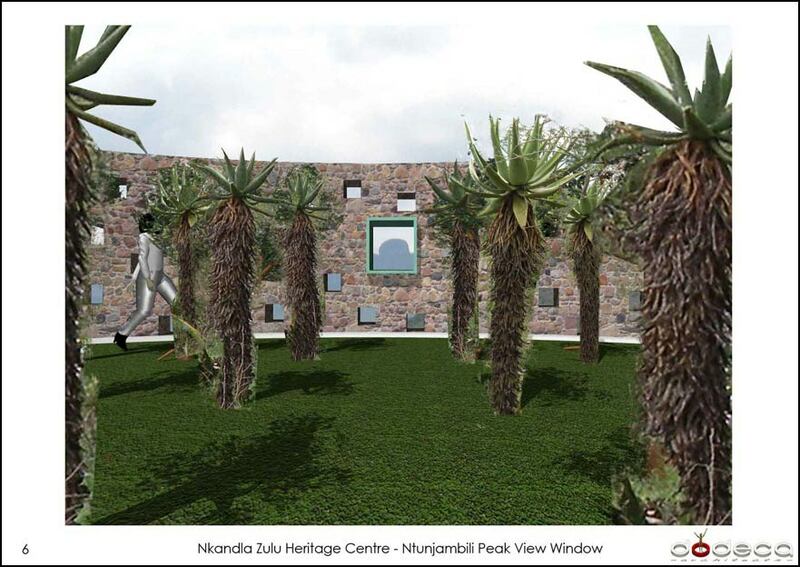 Here on Ntunjambili Peak was where Shaka had his craftsmen mine and forge metal spears for his warriors. 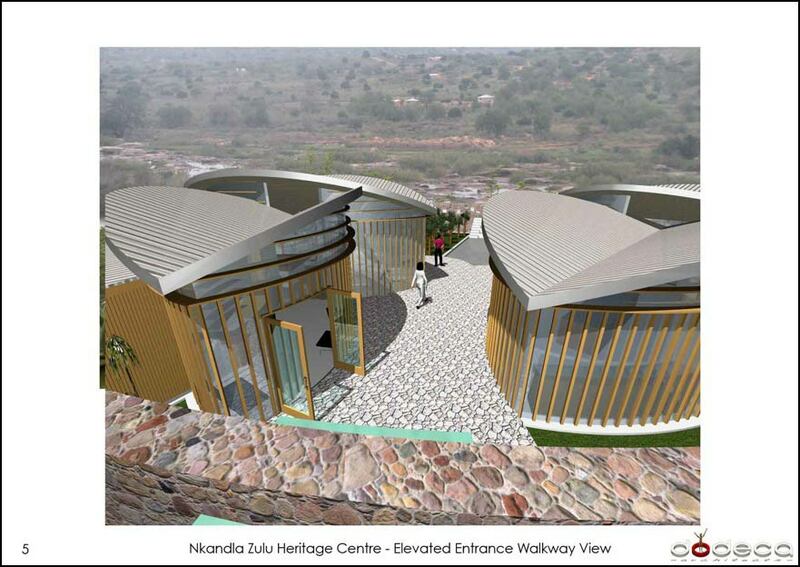 Shaka chose the Nkandla Forest as his stronghold for its environmental, socio-economic and pharmaceutical value. The parallels that we can link with today’s ecological awareness and sustainability are numerous. This is a true tribute to a culture that understands and respects nature. 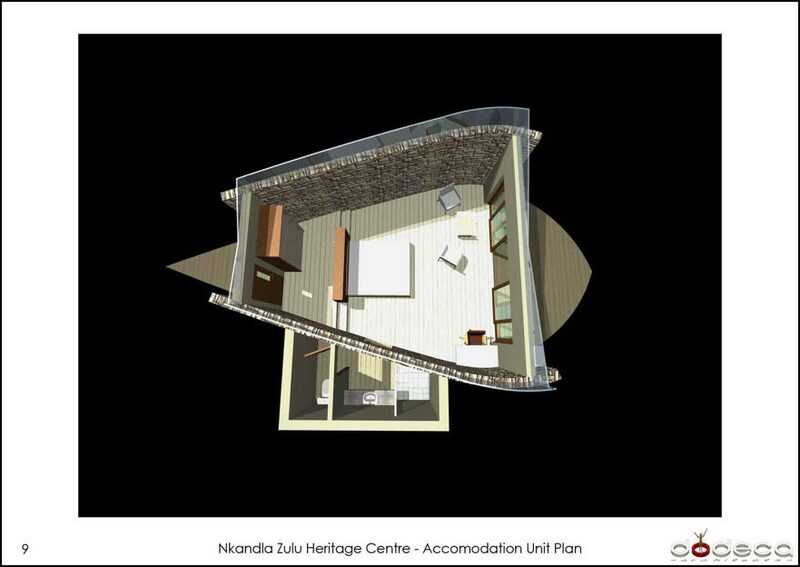 The Kraal – the traditional hierarchy of space. 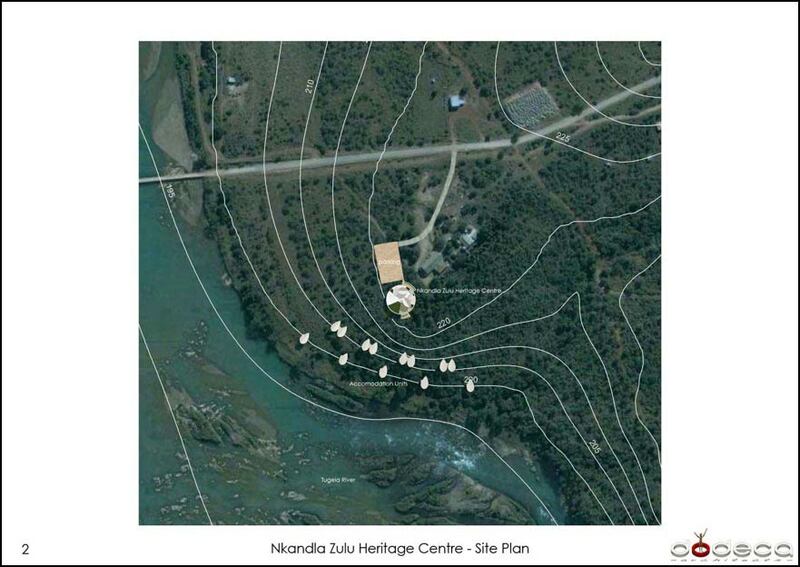 The circular Kraal is typically an impenetrable hostile barrier. 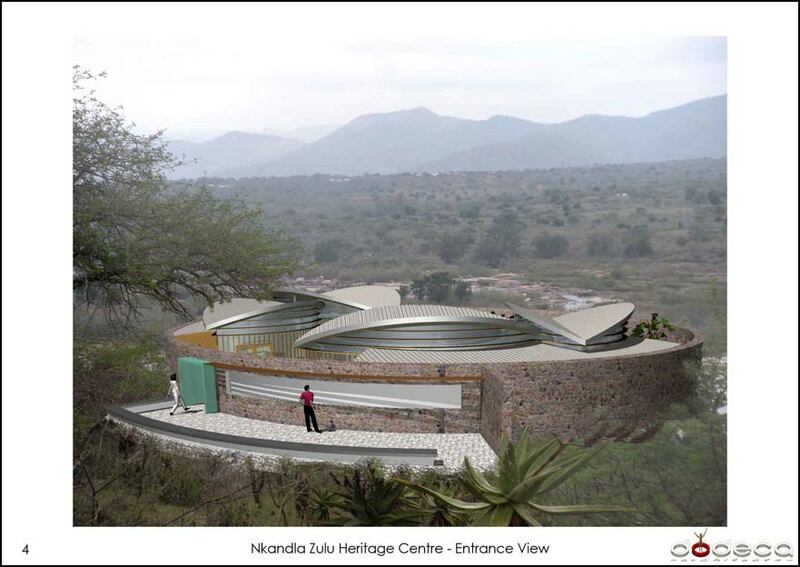 We have chosen stone to represent this barrier as it is plentiful in the area and reinforces a strong Earth connection, which we feel is appropriate to the “grounded” nature of Zulu Culture. The stone wall also serves as a security barrier. The forest – the vertical maze of trunks offering filtered light. 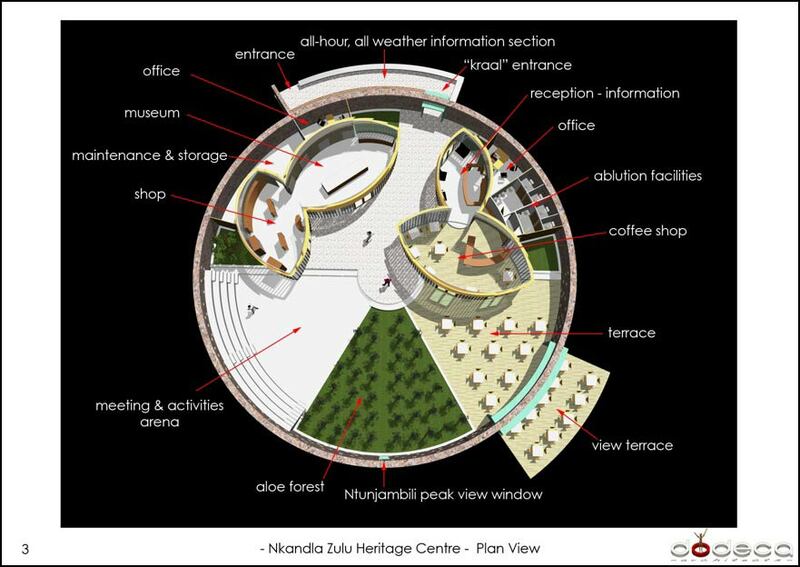 The buildings within the “Kraal” are an interpretation of a forest experience, where light filters down through many vertical timber elements. The walls are mostly transparent through the use of solar treated glass. Passive Technologies – All rainwater is collected via the inverted roofs and through surface drainage via sumps, to tanks below the Accommodation Units. These feed water via solar pumps, back up the slope to header tanks which in turn supply the entire complex. 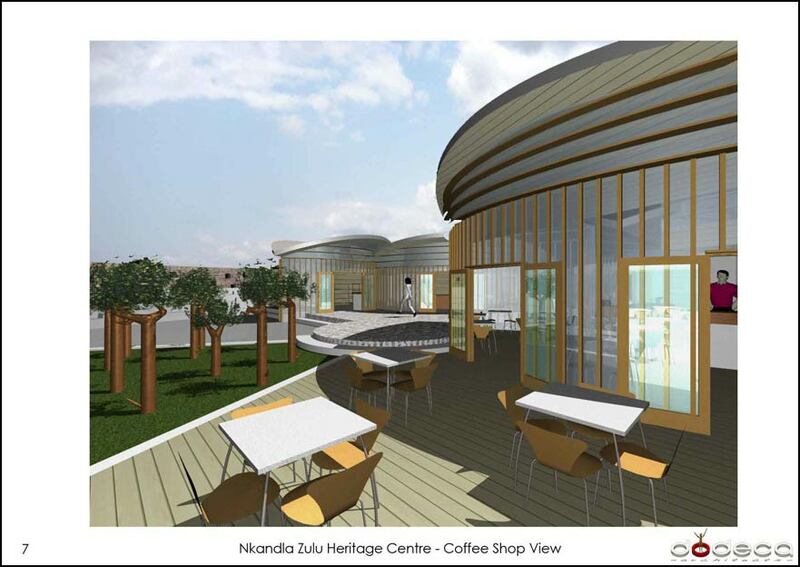 Various water features will also be incorporated to rejuvenate the water through the use of “flow-forms”. All lighting would comprise energy efficient fittings and LED technology.